For over fifty years, N.V. VSH FOODS has been your trusted producer of high quality margarine, butter and other fats and oils. After our establishment in 1960 the factory first started the production of Yellow Bird Margarine in 1963. Over half a century later N.V. VSH FOODS is now a true specialist, offering a wide range of brands, such as Golden Brand, Marigold, Bake ’n Fry en Baker’s Choice. 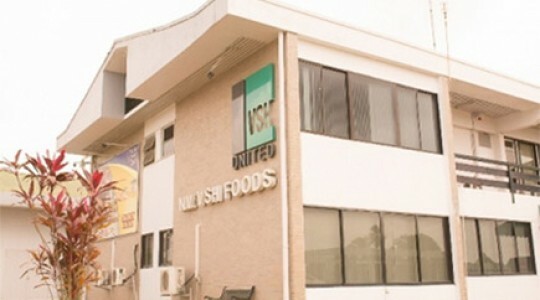 N.V. VSH FOODS is part of the VSH United Group and is listed on the Stock Exchange. However In the 1980s the tides changed. Since 2003 we shipped our first export order to Curaçao and other countries in the Caribbean. N.V. VSH FOODS ISO 22000: 2005 certified. To producing, marketing and distributing top quality margarine, butter and other foodstuff in a safe and hygienic manner at competitive prices. In order to ensure growth, profitability and continuity of the company for the benefit of our customers, shareholders, employees and the community. By producing these in an efficient manner from high quality raw materials with motivated and skilled employees and by guaranteeing supply to the market through aggressive marketing and sales channels. By continuously monitoring and improving, where possible, the production process with the help of our quality system and thereby guaranteeing the market hygienic and safe products that comply with applicable legislation and the demands of our customers. N.V. VSH FOODS, formerly known as the ‘Margarine, Fats and Oil Company Ltd.’, was established in 1960 by Rene Chin-Ten-Fung. Our Factory officially started up its machines in 1963 for the production of Yellow Bird Margarine. During the second half of the 1970s the factory underwent its first large update. In this revision outdated machines were replaced and the production process was modernized. Times were good and the future of the Margarine, Fats and Oil Company looked bright. In the 1980s however the tides changed. Until the early nineties the factory faced great challenges, resulting from scarcity of foreign currency and fixed pricing policies. The supply of raw materials stagnated and the factory remained idle for quite some time. Important investments in replacement and renovation were postponed, because there was no prospect of a swift economic recovery. The extent of the damage only became apparent when Surinam joined the CARICOM in 1996. The factory was lagging behind in production, technology and marketing, which lead to inconsistent quality and packaging that did not meet the modern standards. In the years that followed luckily the Surinamese economy recovered and the sales slowly started to increase again. This was largely thanks to very essential investments that could finally be done. An issue of bonds in 2001 made it possible to purchase new production machinery and laboratory equipment and to build a new storage facility. This thorough update was completed in 2004. A year later, in 2003, the factory shipped its first export order to Curaçao and in that same year the company acquired the HACCP certification. In 2004 the first export order was shipped to Trinidad. During the same time, N.V. VSH FOODS introduced two new products: Bake ‘n Fry Shortening in 2004 and Golden Brand Slim in 2005. By the end of 2007 Golden Brand margarine, Yellow Bird margarine, Bake ‘n Fry Shortening and Golden Brand Slim were all transfat free. The upward trend continued and in June of 2008 the factory successfully introduced Marigold Butter Spread, followed by Golden Brand Slim No-salt Margarine. On April 27th 2009 the General Shareholders’ Meeting officially approved the amendment to change the name of the Margarine, Fats and Oil Company Ltd. to N.V. VSH FOODS. In 2014 we started the preparations for the production of Golden Brand 2-stick Margarine, which was launched on November 20th 2015. This new easy and efficient packaging is fully in line with the international trends in margarine. Besides Suriname, the products of N.V. VSH FOODS are also available in Trinidad en Curaçao. In Curaçao we have: Marigold Butter, Marigold Butter Spread, Golden Brand Margarine, Yellow Bird Margarine, Golden Brand Slim Margarine and Baker’s Choice Margarine. In Trinidad consumers can get: Golden Brand Margarine, Golden Brand Slim Margarine, Baker’s Choice Margarine and Bake ’n Fry Shortening.